Oklahoma City, Oklahoma, USA. Image courtesy of sevenMaps7/Shutterstock.com. Gardner Denver Petroleum & Industrial Pumps has opened Gardner Denver Oklahoma City, a 25 000 square foot facility which will service frac, drilling and production customers throughout the US city and the surrounding basins. 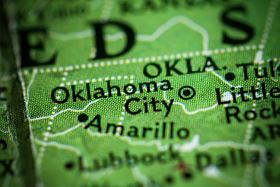 Gardner Denver has had a presence in Oklahoma City and the surrounding basins since 1961. The brand-new Oklahoma City repair centre has the space to service up to six frac units at once, and is equipped with five technical service team members with more than 50 years of combined experience. The Gardner Denver repair center can service drilling, frac, production and C-pumps, as well as power and fluid ends, including competitors’ pumps. Petroleum & Industrial Pumps, a division of Gardner Denver, has been designing petroleum and industrial pumps for the global oil and gas industry since 1859. Gardner Denver Petroleum & Industrial Pumps opens a new facility in Neuquen, Argentina.